You are out shopping at a massive shopping centre in the heart of KL. After visiting a few of your favourite stores in the morning, your tummy decides to make some noise and it’s time for a lunch break. But hang on, where do I go to eat? There’s just too many choices to choose from. While searching for my destination for lunch, I stumbled upon Taste Enclave Classic which has been open in Pavilion KL since August 2014. At Taste Enclave Classic, you can find authentic hawker fare and the difference with Taste Enclave at Avenue K is that you get table service so you are seated by the staff, they take your order after perusing the menu and they serve you. Oh and there is no need to walk around during the peak lunch hour to search for a vacant table too. There is a variety of hawker fares that you can choose from whether you feel like having hokkien mee, bak kut teh, claypot chicken rice and more. You name it. 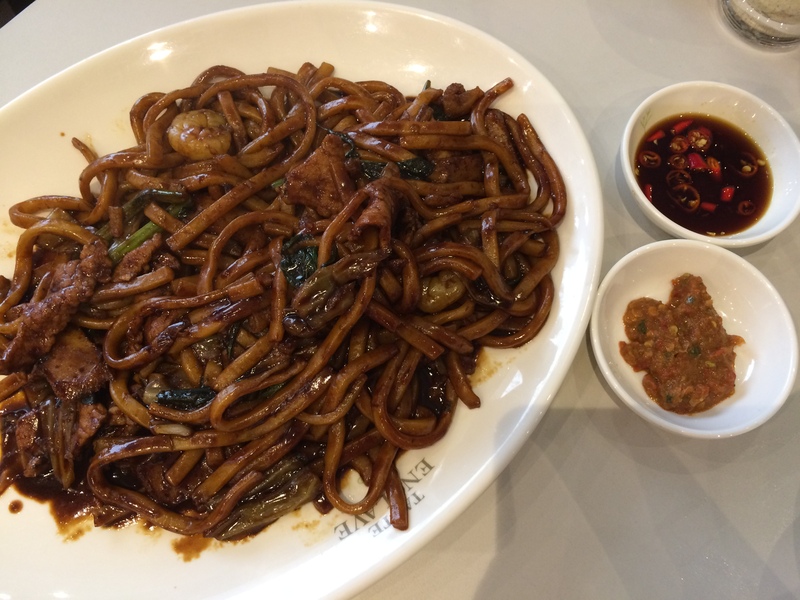 Mum had the Charcoal Fried Hokkien Mee (RM12.90). I had a taste of it and it was delicious with plenty of “wok hei”. Wok Hei in English means “work thermal radiation” or “breath of the wok” which refers to the flavours imparted by a hot wok on food during stir frying. The noodles are also drenched in thick, black gravy topped with prawns, fish cakes and crispy fried pork lard. It was quite authentic. For me, I had the Kampung Chicken Rice Set (RM17.80). I must have been really hungry to start off with but at the end, I was very full. The chicken was tender and juicy, complementing well with the aromatic and fragrant chicken rice. 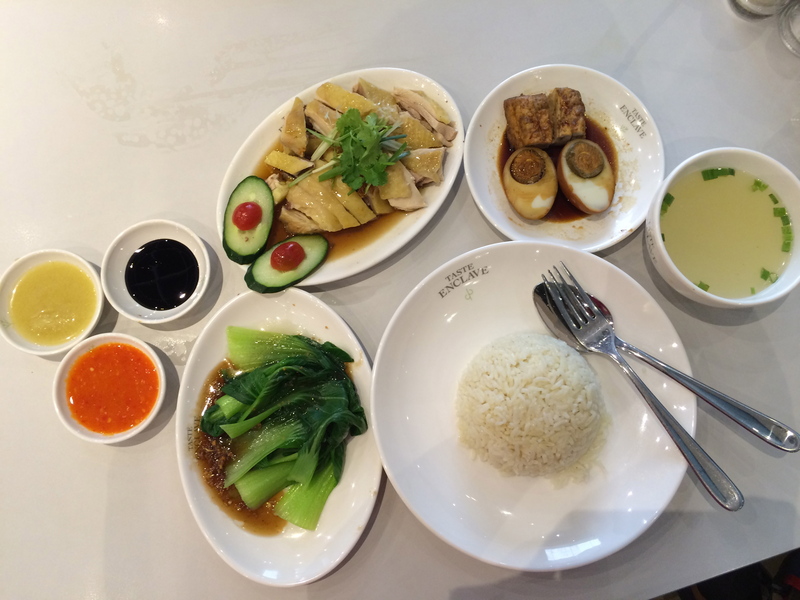 If you are very hungry, I recommend you the Kampung Chicken Rice Set as it is definitely value for money. Mum and I had a very filling lunch and we were ready and well fueled to continue our shopping trip around Pavilion. The service at Taste Enclave Classic is also very attentive and friendly. I would also say that prices here are a bit higher than normal food court or hawker stalls. Taste Enclave Classic is one place where one can dine comfortably and indulge in hawker’s fare air conditioned with a lovely ambiance. Lot 2.65.00-2.67.00&2.74.00, Level 2, Pavilion KL, 168 Jalan Bukit Bintang, 55100 Kuala Lumpur, Malaysia. That’s a really generous serve for the chicken rice! !